... is the Graphic and Web Design Freelance Studio of Allan Criss. Allan strives to provide new and growing businesses with a High Gauge of quality, service and cost-effective solutions in logo design, illustration, web design and other creative needs. 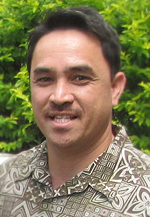 Allan Criss received his Associates in Science Degree for Commercial Art from Honolulu Community College in 1996. He worked and interned for several Hawaii Design Firms. The most notable of which is Pyrus Inc. Allan got hands-on experience as a Graphic Designer at Pyrus Inc. creating various design and advertising campaigns for a variety of clients. This job taught him many valuable lessons regarding customer service, client interaction, attention to detail, project organization, and new efficient design techniques. To advance his career, Allan Criss moved to Southern California in 1999 where there were more opportunities to pursue and choose from. He was offered a job right away with Graves Adverting after passing a rigorous hands-on Graphic Design test. Graves Adverting specialized in the marketing and advertising of the booming new housing community development in Southern California. He was hired as a Graphic Designer to create logos, direct mail, brochures, billboards, signage, and print advertisement. Due to his great work ethic and award-winning design skills, he was quickly promoted to Art Director. As an Art Director, his responsibilities including the supervision of up to three full-time Graphic Designers and two part-time Graphic Design freelancers. While working at Graves Advertising, he learned to create Websites through online training courses and on-the-job research and development. His new skills of creating websites proved valuable by adding a new source of income for the agency. In 2007, Allan Criss moved back to Oahu, Hawaii to be closer to family. He started to work immediately by taking on freelance projects from Bright Light Marketing and The Anthology Group. He assisted on many interesting and challenging projects such as creating animation for an interactive manual for Norton Antivirus, a website splash page for Farmer’s Hawaii, and many more. In 2008, he found a permanent position with DFMWR Hawaii Marketing as a Webmaster. It was a perfect fit to use not only his web design skills, but to also use his years of experience as a graphic designer to assist with print materials and digital signage.